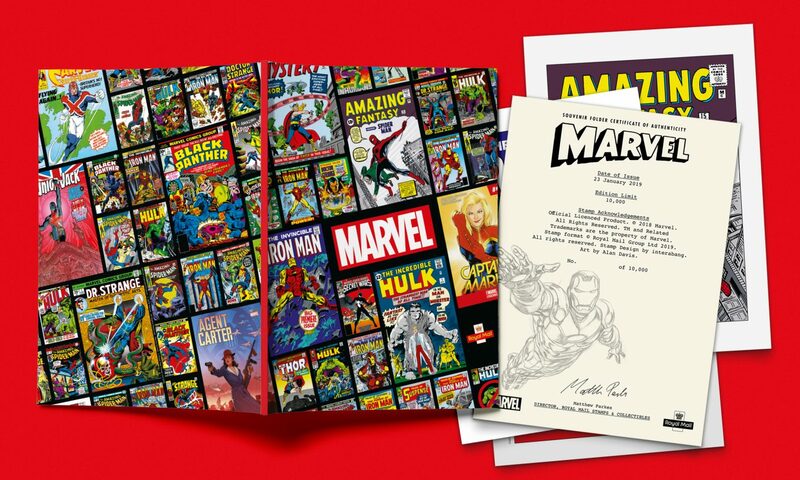 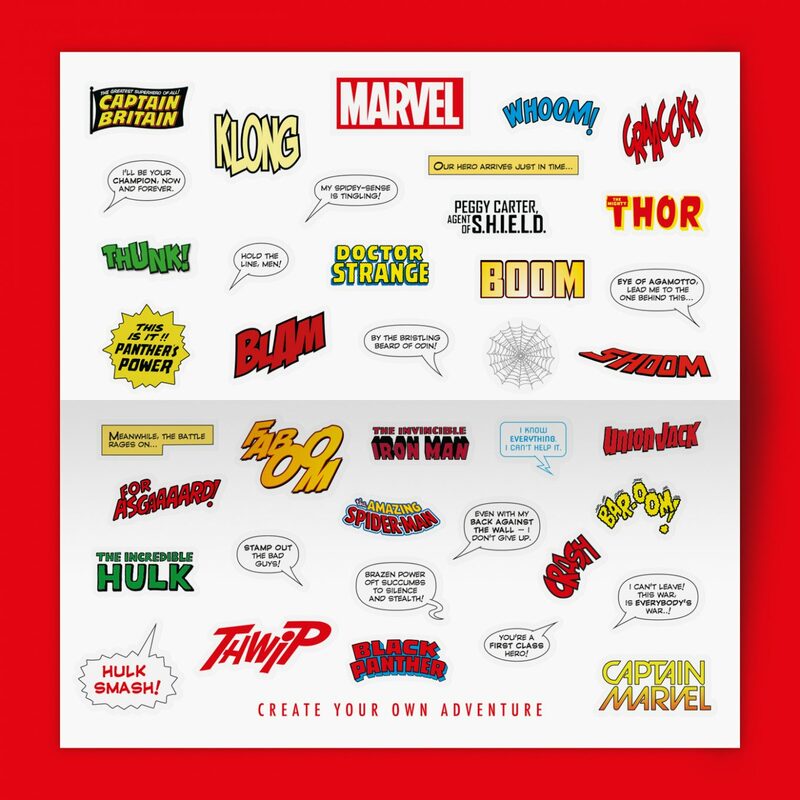 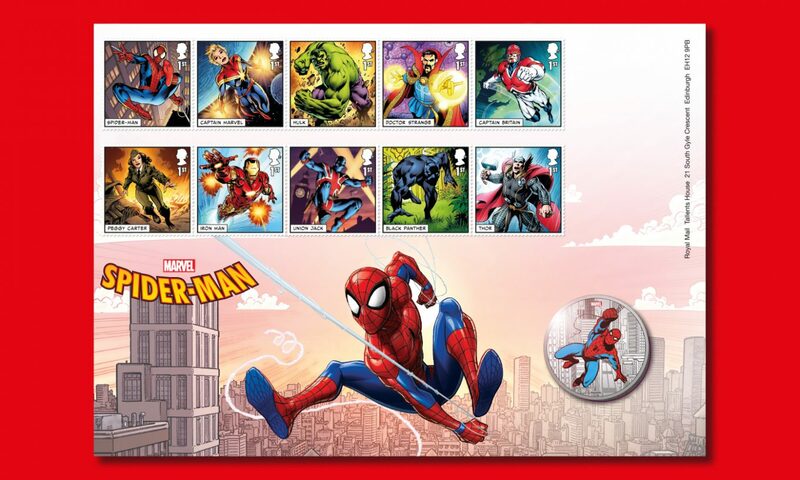 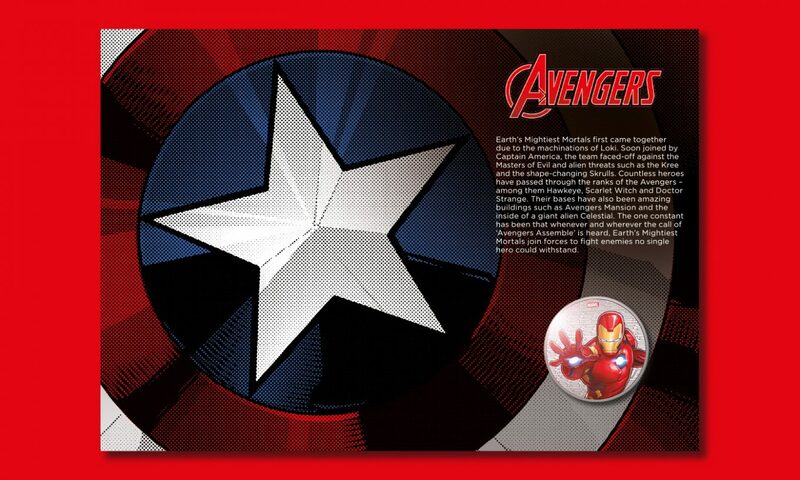 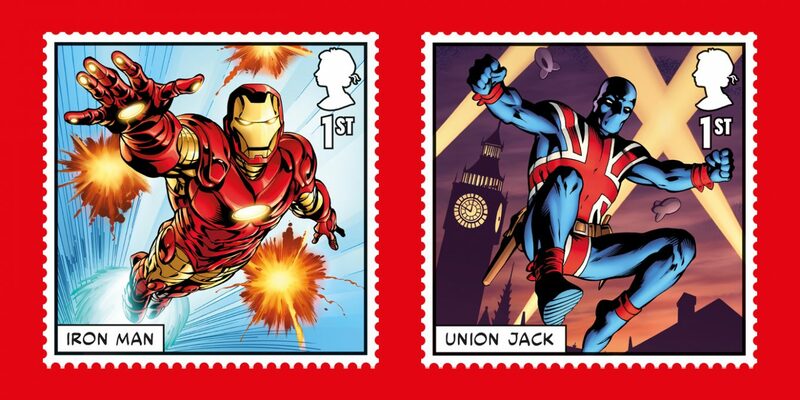 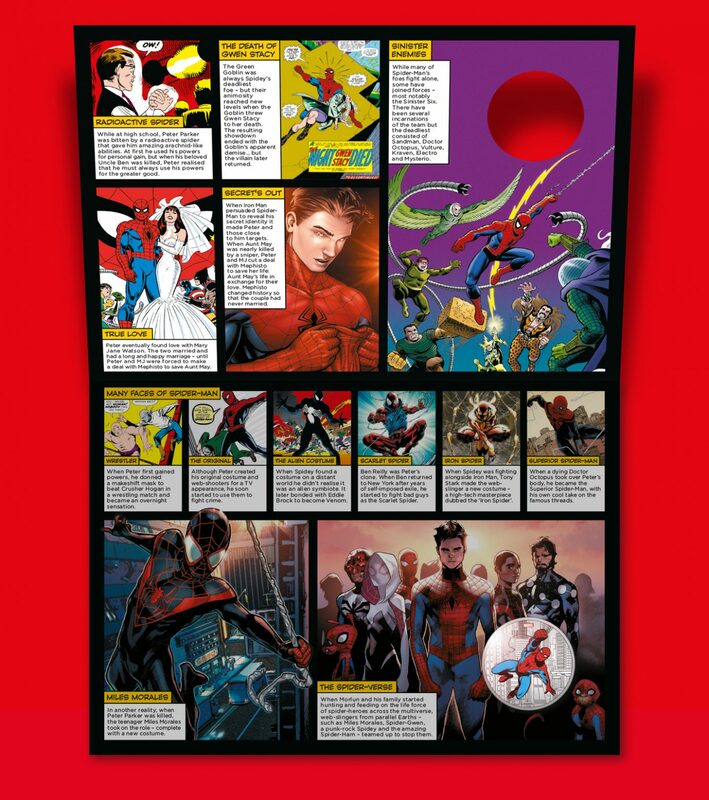 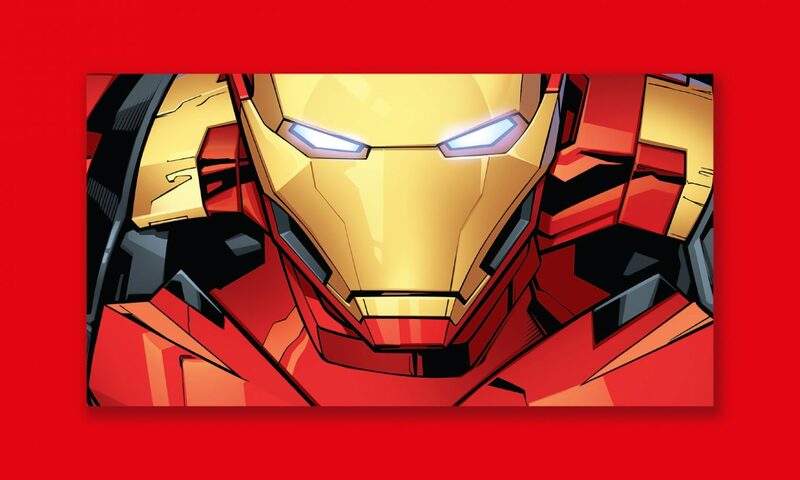 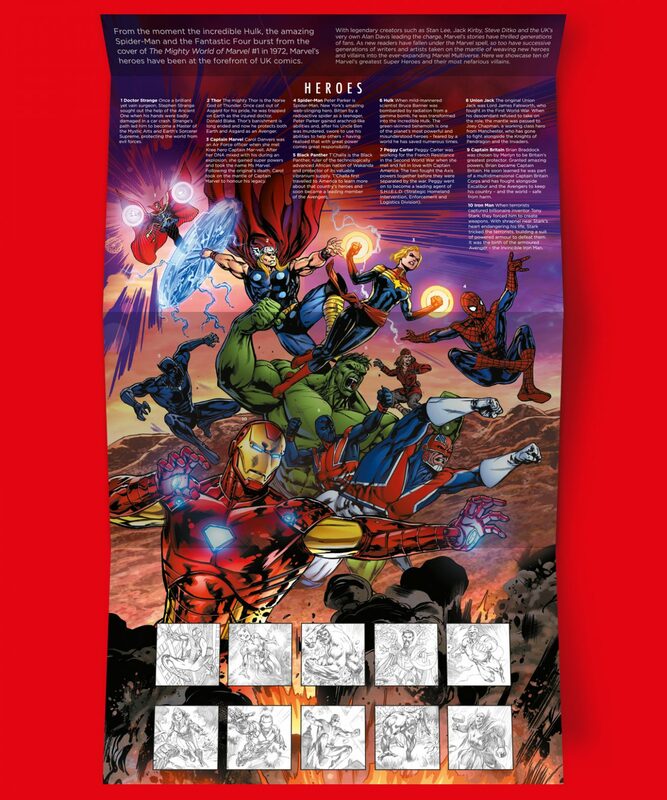 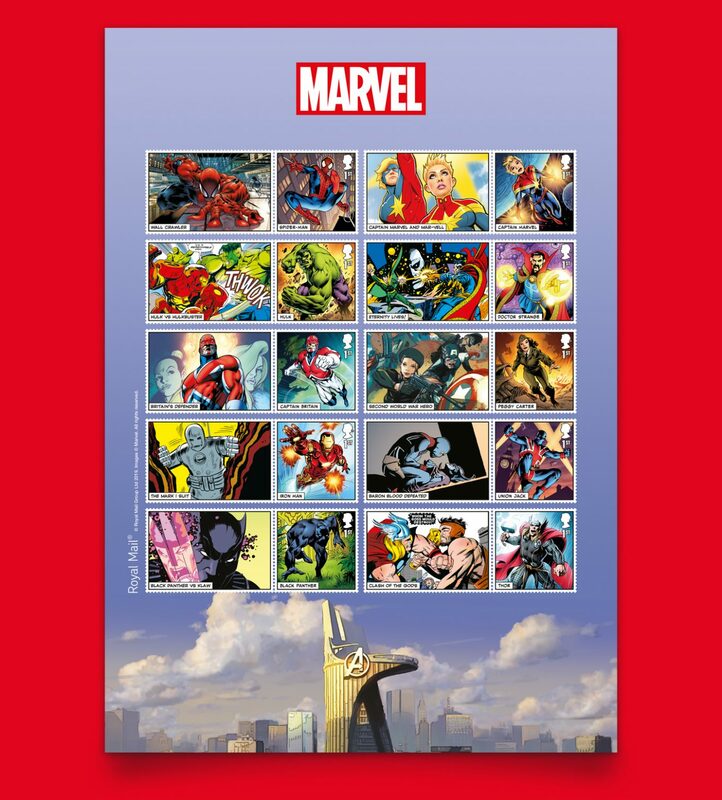 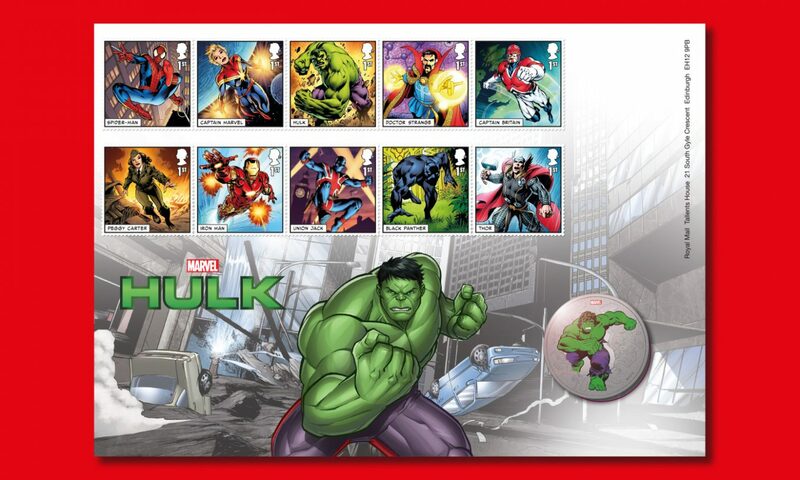 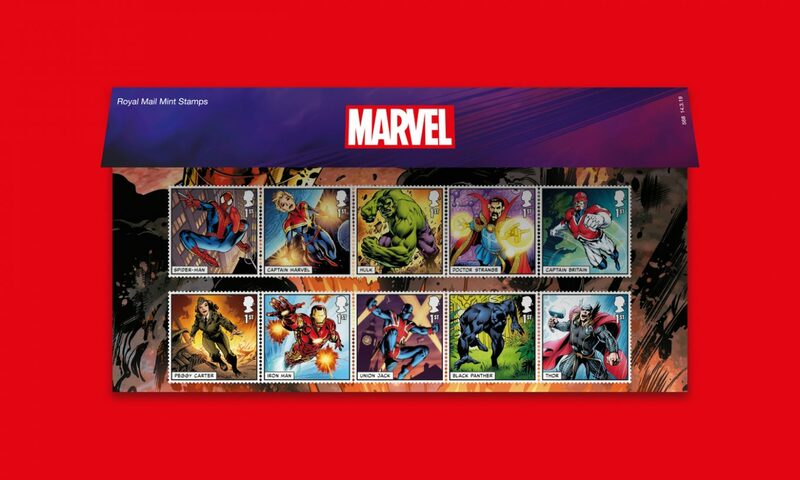 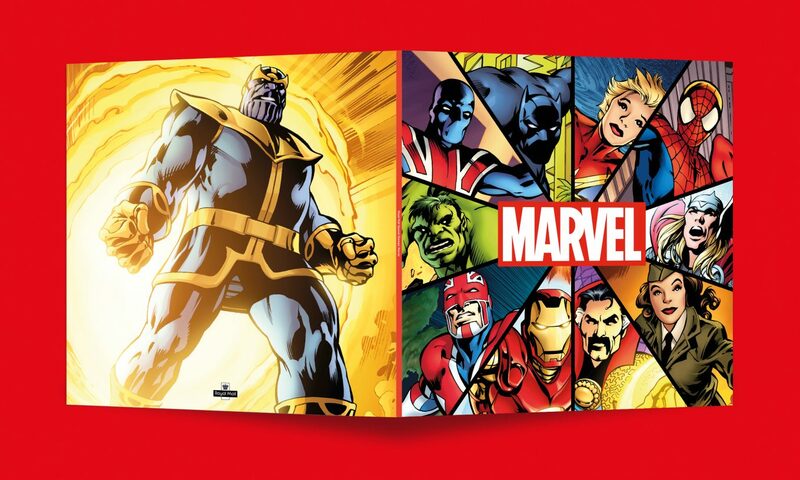 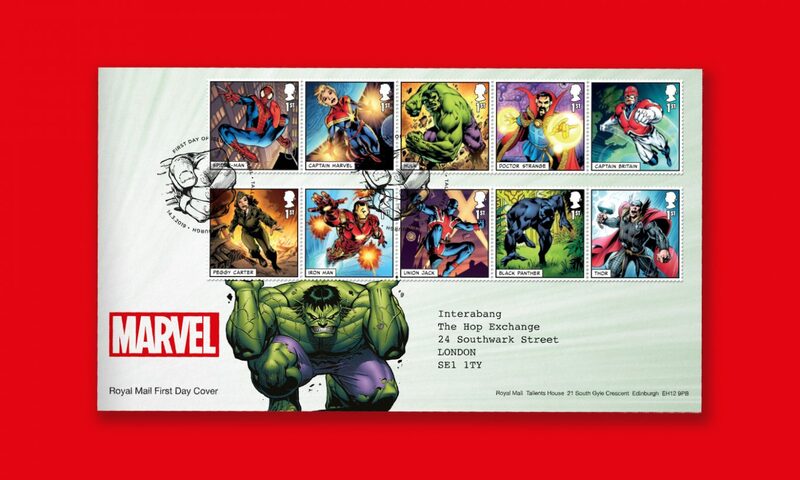 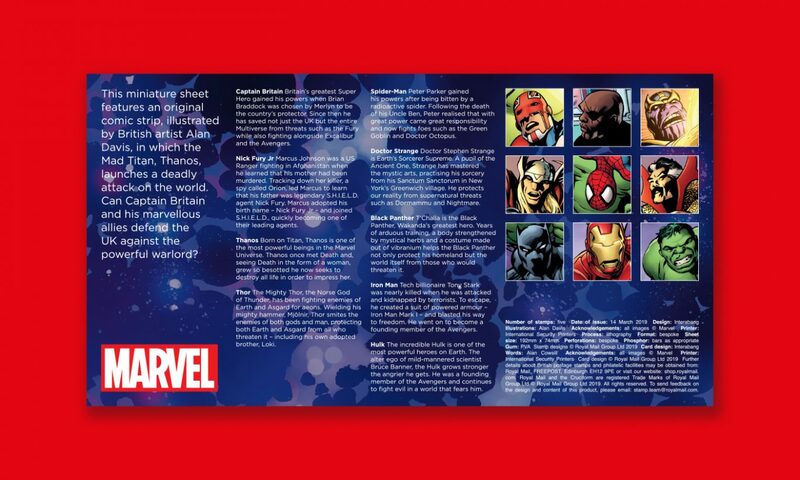 Royal Mail commissioned us to create a set of ten special stamps, a miniature sheet featuring five stamps and associated collectables celebrating some of the most iconic Super Heroes in the Marvel Universe. 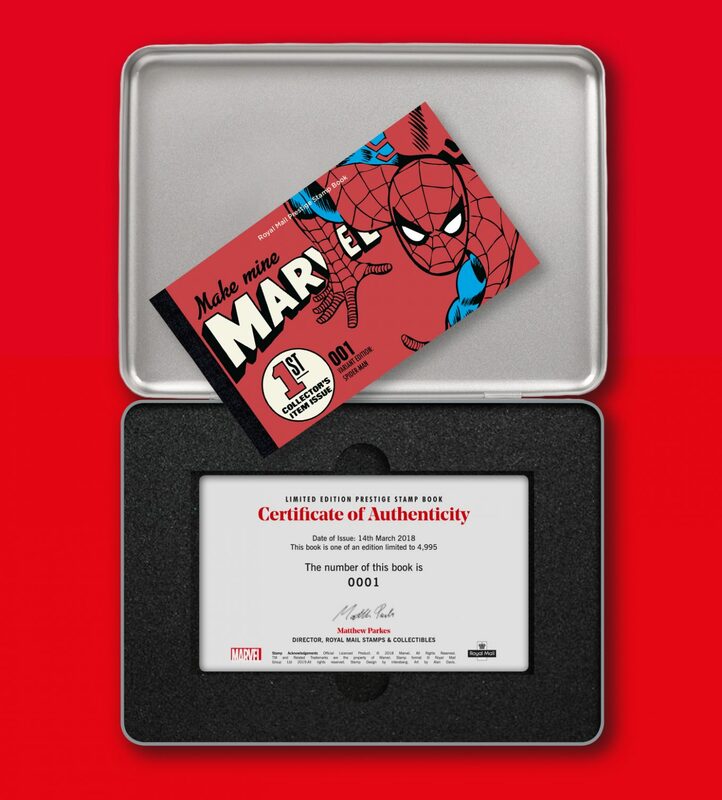 To ensure authenticity we enlisted the help of seasoned British comic book artist Alan Davis, the man behind Captain Britain, The Uncanny X-Men, and much more besides. 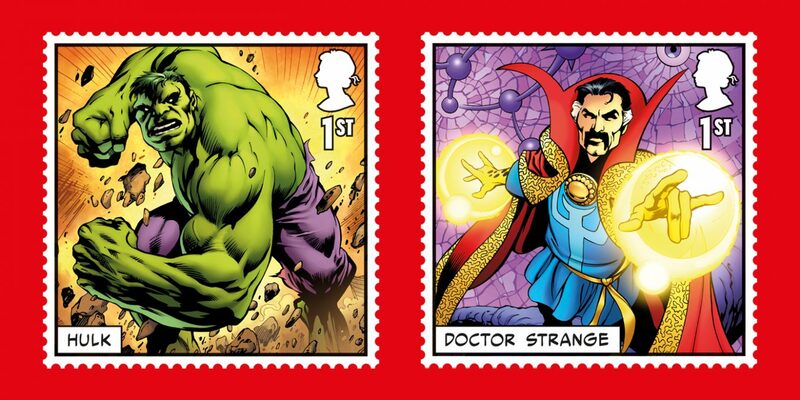 The main stamps were kept clean and uncluttered to appeal to comic book purists, but come complete with a sheet of stickers bearing catch phrases, sound effects and logos, so they can be loaded up and customised. 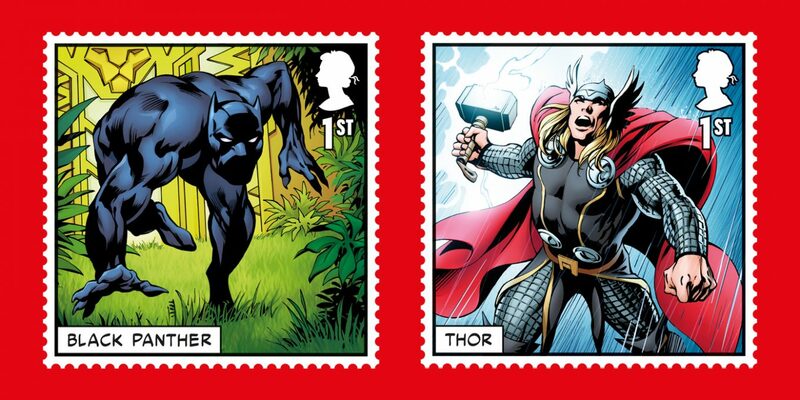 This way the stamps could appeal to two demographics – children and more sophisticated collectors. 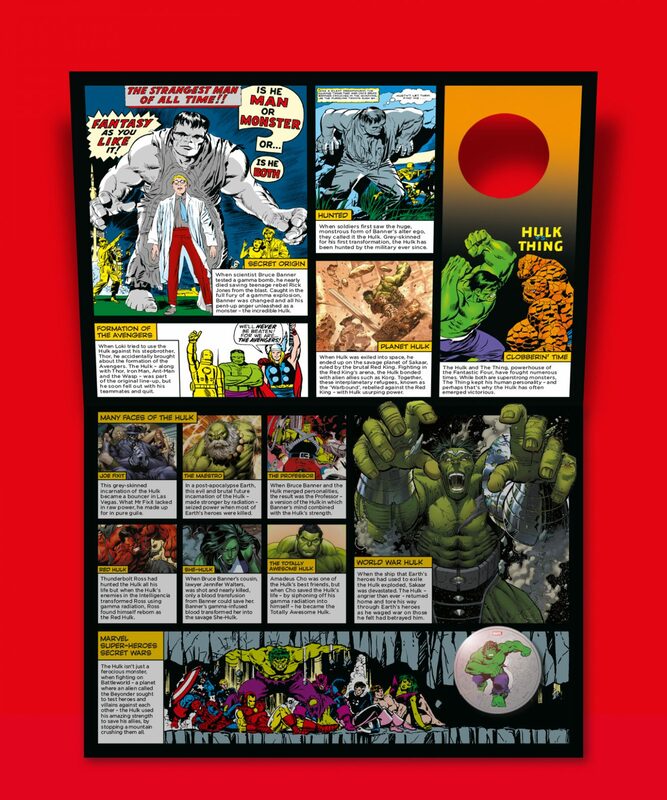 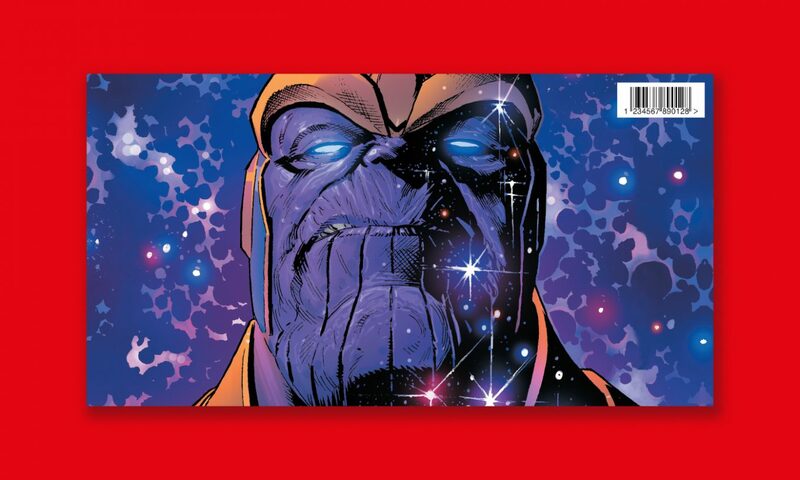 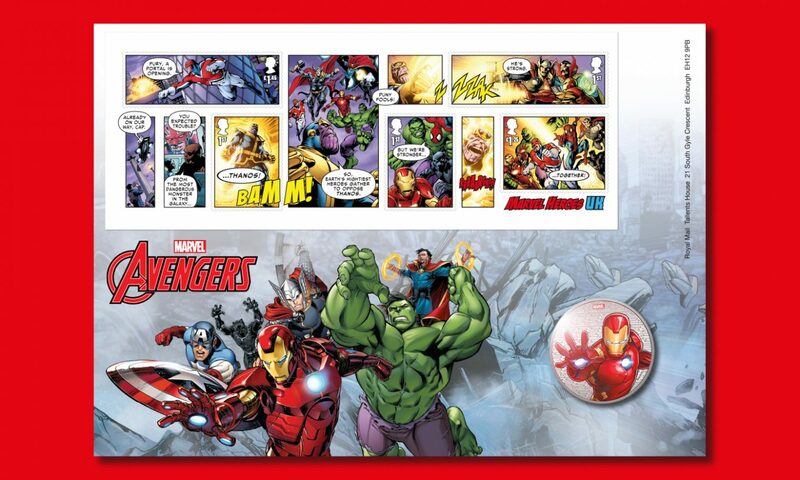 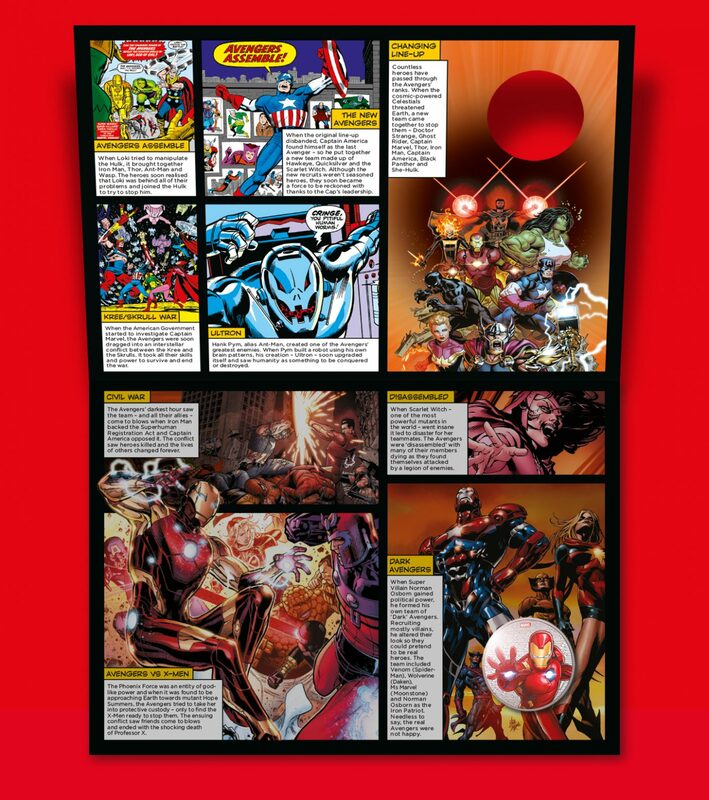 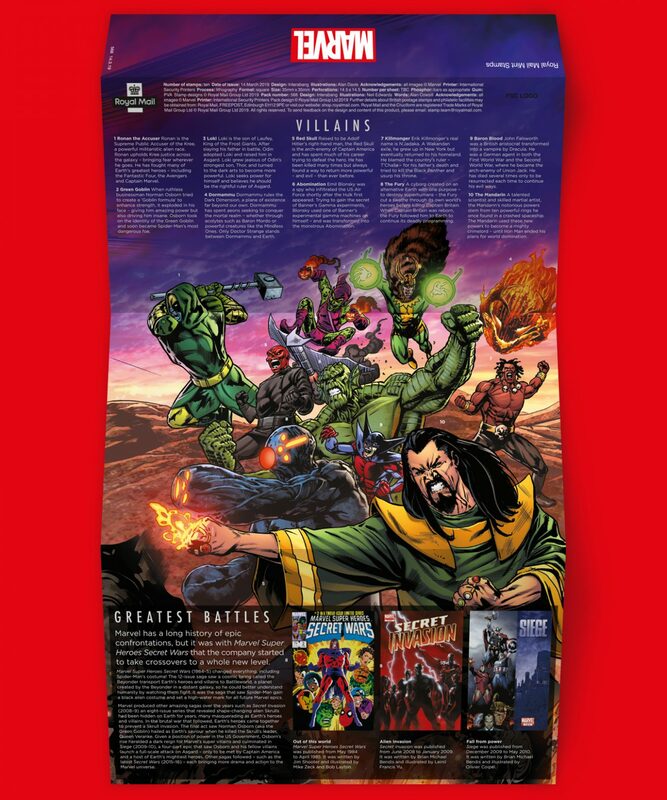 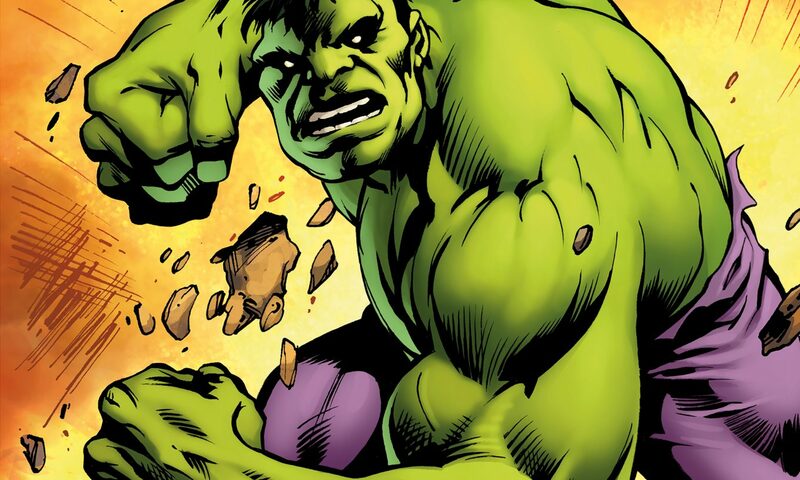 For the companion miniature sheet we created a ten-panel comic book strip in which the Mad Titan, Thanos, launches a deadly attack on the world. 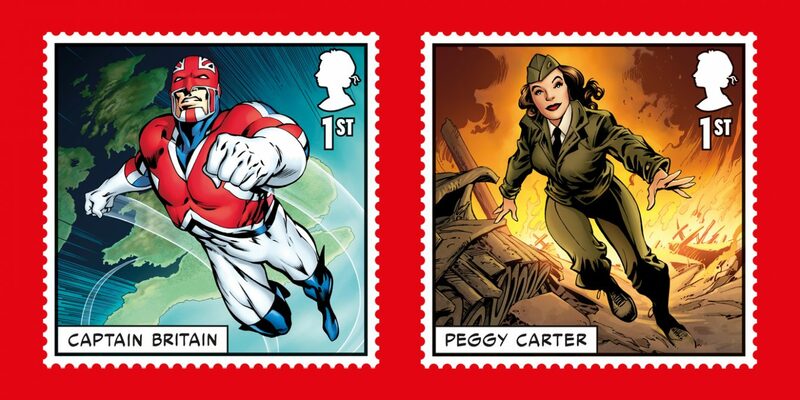 The strip incorporates stand-alone stamps as frames within the visual narrative, and once again drawn by Davis. 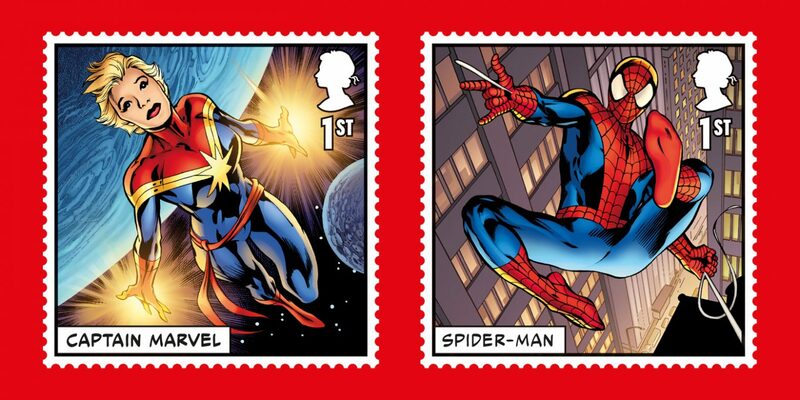 As well as the central set of stamps, we were asked to produce a range of collectible materials to accompany them. 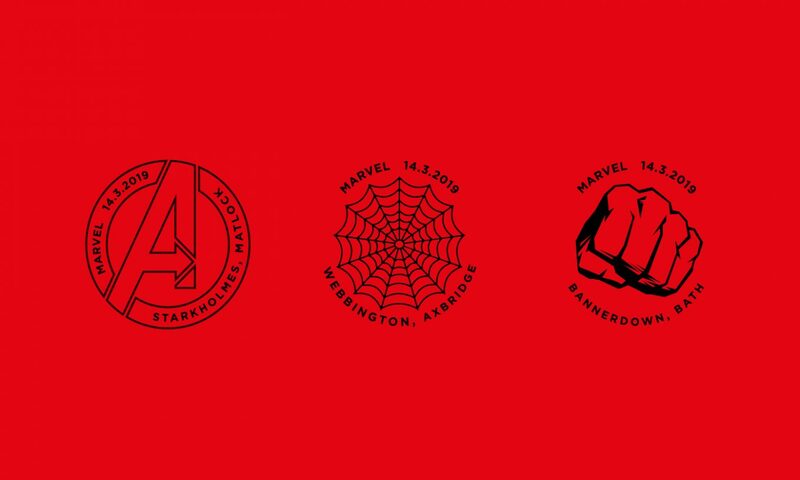 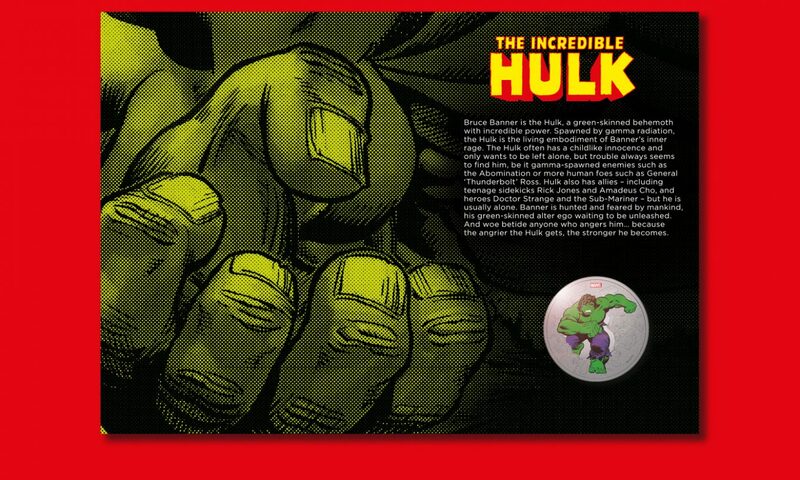 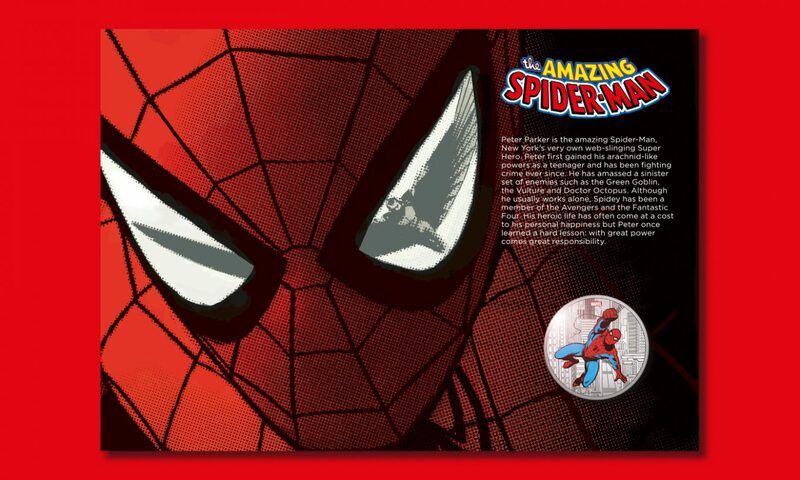 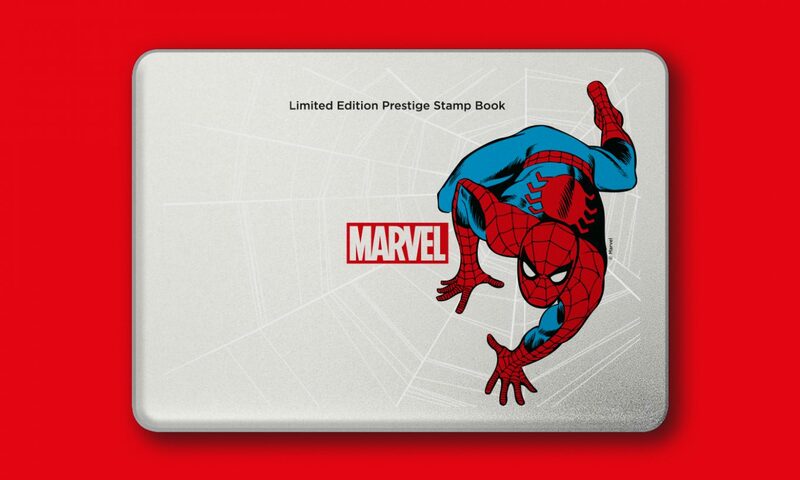 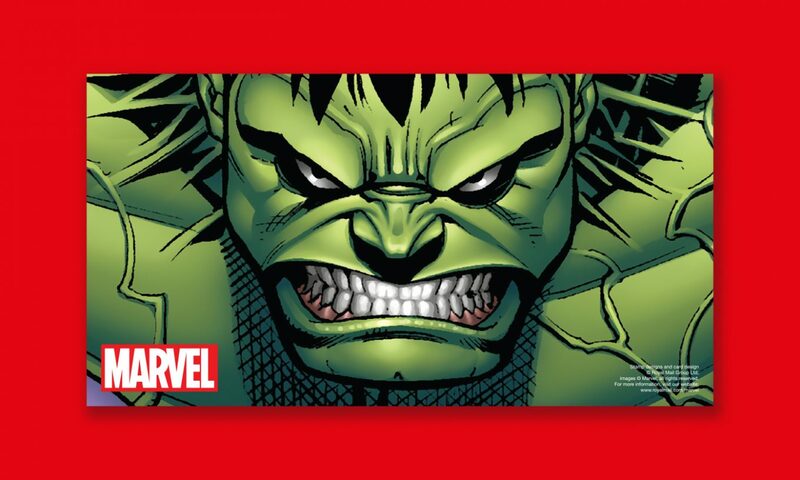 These included First Day Covers, three limited edition Medal Covers in conjunction with the Royal Mint covering Spider-man, Hulk and The Avengers, Collector Sheets, Prestige Stamp Books and limited edition art prints. 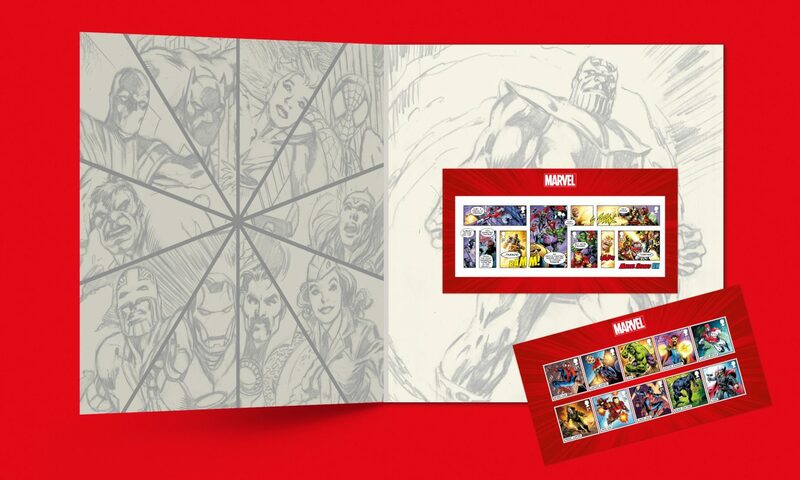 Also produced as part of the set were collector sheets, prestige stamp books, limited edition art prints and a twelve inch stamp artwork collectors set.